Ever had one of those projects you started that in retrospect you determined was not fully thought out? Reading a brief article in The Daily Dot about viral sensation ShipYourEnemiesGlitter.com, reminded me of an alcohol induced glitterization (<—- it could be in the dictionary) plan that my girlfriend and I came up with to attempt to get upgraded seats at an Eric Clapton concert. For the sake of her good name (I dragged her into this), I’ll call her Tilley. As inseparable friends, Tilley and I spent lots of time together. We worked at the same place and spent most of our off time together. As I, a financially poor single mother in my early twenties looked to her for inspiration, she, a married mother of two in her mid thirties offered me stability and friendship. Her home was always open for me. I think she saw a youthful fearlessness in me and enjoyed my company. That and we made each other laugh—a lot. In the midst of our many conversations, it came to my attention that Tilley had never attended a rock concert. In the sixties, she said, her husband was off fighting in Vietnam while she focused on the home front. That left her with no time for frivolity. On the other hand, as an avid rock fan, I had been to as many shows as my disposable teenage income allowed. So when I heard that Eric Clapton’s Behind the Sun tour tickets would be on sale, I knew I’d scratch enough for a ticket despite my poverty. I suggested that Tilley and hubs Charlie go with me. Tilley immediately agreed. I could never afford to purchase tickets for great seats and laid my hope for a ticket upgrade via a highly promoted local radio station contest. The contest required creation of a banner that included the call letters of the station to hang up at the concert. Then, the owners of the best banner would get a ticket upgrade to the front row. Maybe there were VIP passes included for backstage. Had I won, I could tell you, but time has eroded my recollection on that point. We faithfully stood in line at our local Ticketmaster on the day the tickets went on sale, and snagged whatever seats we could for the three of us which were somewhere in the second level. They weren’t nosebleed, but our hopes for an upgrade remained undaunted. The weekend before the concert, while sipping strawberry daiquiris, we hatched a plan for our banner. We purchased a flat white sheet, laid it out on Tilley’s family room floor, and went to work re-creating the album cover, drawing out the massive letters. The stage lights, we reasoned should reflect from our replica so as to attract the attention of the contest promoters, and maybe even Clapton himself. Glitter, we decided, would be the best and least expensive approach and we needed LOTS of it; lots of Elmer’s glue and lots of glitter. Three or four trips to the store in the Yugo (don’t ask) for more glitter and glue, and about a dozen daiquiris later, we completed our project. For posterity, we hung it from Tilley’s deck and I took a picture of the finished product just before sunset. Then we folded up the banner and took it along to the April 29 concert. Security almost turned us away, but once we explained the innocuous nature of our quest, we entered the Philadelphia Spectrum with higher hopes. We found the closest railing to our seats from which to hang our banner. Just to be certain the banner looked good from anywhere in the arena, I left Tilley and Charlie to stand guard with it and to remain on the lookout for radio station reps for a ticket upgrade while I hurried to the other side of the arena to check out the view. It looked so cool, and the glitter did exactly what we had hoped being reflective. A quick glance around had me convinced that no one would overlook ours as the best banner there that night. Soon, the lights went down and the show started, so we took our seats. As expected, Clapton put on an impressive show, keeping the crowd wrapped in his presence and understanding why so many fans call him God. Charlie said I nearly blew out his eardrum screaming so loudly beside him when Clapton began playing Layla. We never saw anyone get a ticket upgrade, saw no one from the radio station for that matter, and were left wondering whether they ever gave anyone those coveted tickets. In the end, however, we were convinced that Clapton saw our banner when the stage lights extended upwards, spiraling the crowd throughout an entire song as it was probably the only time he could likely see beyond the first few rows. After the concert, we worked our way back toward the railing so that we could retrieve the banner. Just as we approached it though, someone from the floor below jumped up and grabbed it, pulling it down in a shower of glitter and exiting with it as we helplessly watched. For a little while we were pissed off until we realized that we had little use for a full size bed sheet full of glitter. Maybe you never thought of someone who stole from you as an enemy, but a glitter-infused vehicle and apartment, we decided, was a more harsh sentence for a thief than one might naturally expect. Our revenge was made all the sweeter when for nearly two years, when we’d lay down on the family room rug to chill, we’d find glitter, and every time Tilley vacuumed that floor, small bits of glitter would appear. Every time she smiled, and with every reminder of it, we laughed. S P R I N G ! Just makes you want to break out and cause a little Riff Raff. What kind of trouble will you get into today? I ain’t done nothin’. I’m havin’ fun. Having neglected album cover art for a while, it’s high time we revisit the topic. Those lamenting the decline of vinyl, or perhaps more aptly, album cover art itself need not fear. While vinyl and CD’s went the way of the bargain bin in exchange for compact hand-held devices that could hold our ever-growing appetite for convenience and quantity, a community of art lovers clung steadfastly to their collections. Some allowed theirs to collect dust, but could not or did not part with their favorites. Still others, sent them the way of the garage sale or flea market, and for a while it seemed they might disappear altogether as record store chains Sam Goody and Tower Records clung to the capitalistic vines. For at least the last several years, musicians have experimented with releasing their music in a variety of formats. By creating limited editions, pre-orders, early single releases, and mastering the art of releasing a studio version, a deluxe pack with extra tracks, live versions, digital first, and yes, even vinyl, the new artists have the opportunity for mass appeal. One such limited vinyl pressing Imaginary Numbers came in the form of a November 2013 acoustic album (accompanied by a YouTube release of a single and a quick bi-coastal tour in the U.S and Toronto) from alternative/punk rock band The Maine. The music on it , while melancholy, is “therapy,” according to lead singer, John O’Callaghan, and kudos are in order for an excellent recording. 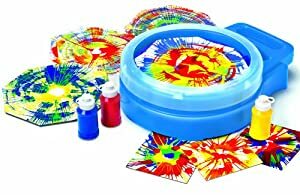 What makes the plastic unique is what can best be termed as Magic Spin Art vinyl; it is as though someone blew out the candles on the cake that graces the cover, scattering hot wax over all of the icing and placed the whole deal in a centrifuge. The added insert featuring a black and white photo of the band on one side and lyrics on the other is reminiscent of the expectation of those of us who still consider 50 a figment of our imagination. Some album covers are not especially artistic. Others are nothing more than a photograph on a 12” x 12” cardboard sleeve. Some are astonishing works of art. But every once in a while, you find one that is a historical document: by accident, design or both. Benny Goodman in Moscow ©1962 by Park Recording Company, Inc. for RCA, is one such album cover. It documents the first jazz band tour by an American of the then U.S.S.R. from May 30 through July 8, 1962. The written history is now (in my humble opinion) laudable, odd, amusing, sexist, racist, and politically charged. A detailed two page background, invitation and tour synopsis.